Since then, Weir has declared himself a member of the Co-operative Commonwealth Federation, the name of the precursor to the NDP. Weir, who attended Wednesday's meeting, said the motion to support his candidacy as the NDP nominee should be honoured by Singh. "Is it just the whim of the leader to decide who's going to be the NDP candidate? Certainly the tradition in the New Democratic Party has been that the local membership get to decide who our candidate is going to be and hopefully that will be respected," he said. On Thursday, a spokesperson for the federal NDP responded to the Regina-Lewvan NDP motion. "There is a process for approval of candidates. Mr. Weir would not be successful in that process. He will not be a candidate for the NDP." In 2015, Weir narrowly won his seat, beating Conservative candidate Trent Fraser by just over 100 votes. On Thursday, Weir said he was the party's best chance in the next election. 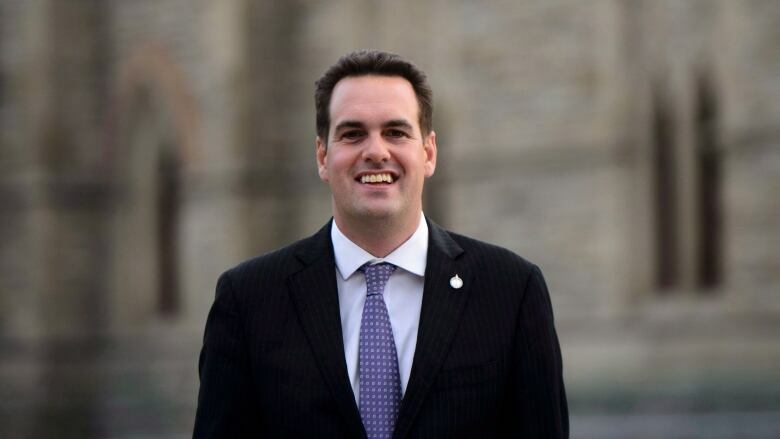 "Our only chance of retaining the seat and maintaining that progressive voice in Ottawa is to build upon all of the canvassing and mailing and advertising that we've done over the past three years. So I do feel that I would be best placed to hold the constituency." Regina Saskatchewan Party MLA Warren Steinley is the nominee for the Conservative Party in the riding. Singh has his own election to worry about. On Feb. 25 he will try and grab a seat in parliament in B.C. riding of Burnaby South. "It's obviously a divisive issue and I think that's why it needs to be resolved," said riding association vice-president Jim Holmes. "It should have been resolved a long time ago." "What we're saying is, he should not exercise that power," said Holmes. "He has never had a discussion with the local people about that decision. He has not given Mr. Weir a chance to appeal his decision." The decision to remove Weir from the party has been unpopular with some members of the NDP in Saskatchewan. Last May, 68 former NDP MPs and MLAs wrote a letter to the party, criticizing how Singh handled the situation and how he acted on "hearsay." It went on to note Weir had made efforts to apologize and make amends to those affected by his actions. "I think Erin has made a substantial contribution as a Member of Parliament and we just threw him under the bus," he said. "I don't think those are the principles we want to uphold."